You need sales training tailored for every role. Every sales role has unique challenges. That’s why we created a unique sales training program that’s customizable for every type of seller. 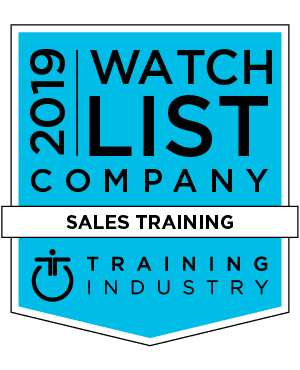 Pick the sales training program or role that's right for you. We can help your leaders become a catalyst for change. Our training addresses the unique challenges of selling over the phone. A radical approach to selling, relevant to every type of field sales role. Essential training to enhance the customer experience and increase revenue per call. Your leaders need to be certified to ignite the passion to change, manage the metrics, and develop their reps ability to sell. Here are the programs and tools we offer. Catalyst™ is one of our sales training programs that transforms managers into agents that accelerate change. Our cloud-based dashboard simplifies and automates the representative development process ensuring that sales leaders have a pulse on the productivity dials that matter. Have questions about which program is right for you? We’ve got answers. Feel free to reach out, we’re happy to help. Other-Centered® Selling for Inside Sales will equip your ISR’s with a new approach to account management. Selling for Inside Sales will equip your ISR’s with a new approach to account management. We’ve designed a program for the toughest challenges in sales — acquiring new accounts. Access™ is a program designed to help your sellers gain access to people who don’t meet with sales reps. Selling face to face is different from selling over the phone. It’s taken us 20 years but we’ve developed the best content on the planet to address every role and solve every challenge. Other-Centered® Selling helps account managers move beyond existing relationships, sell the total solution, and be more strategic. The goal of your customer services reps is not to sell but to serve at the highest level. Here are the skills your team needs to proactively explore customer needs and upsell. Experience+ trains CSRs how to up-sell AND improve the customer experience. This two-day instructor-led program equips reps to do more than just read a script. You have two challenges: CSRs Reps don’t want to sell, and customers don’t know what they need. INTelegence is the program that solves both.